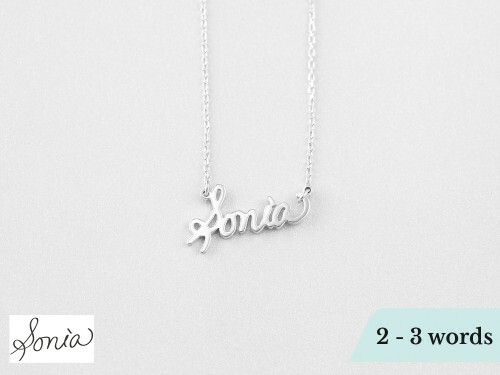 You can hardly get more personal than one's handwriting. 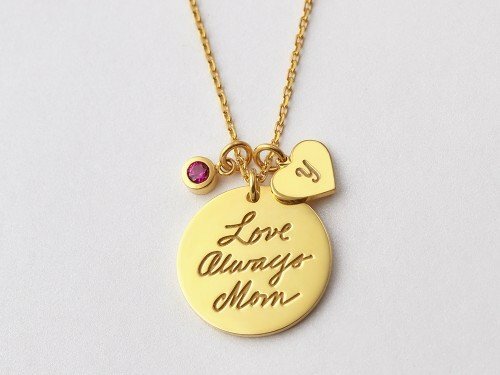 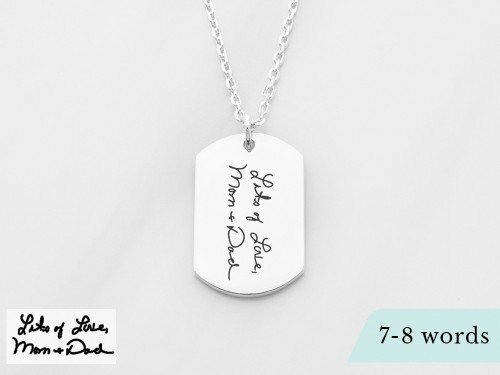 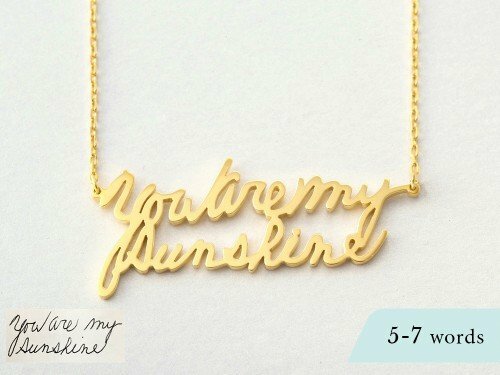 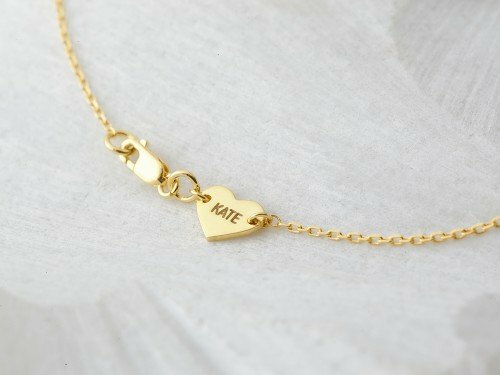 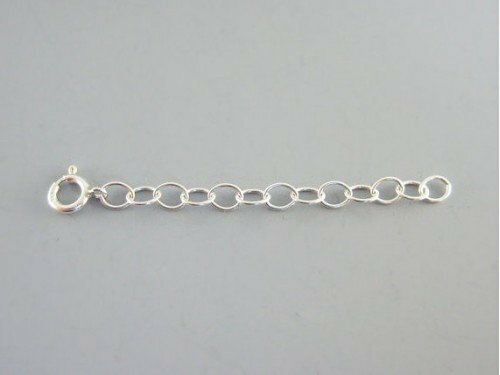 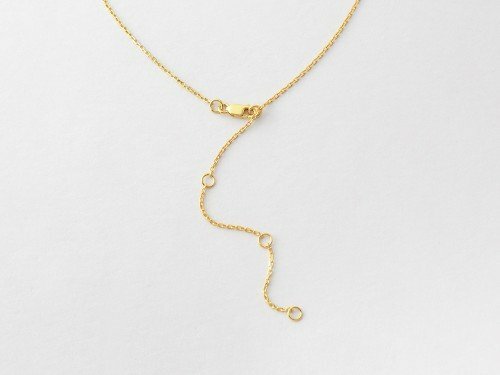 This personal handwriting necklace is a beautiful, sentimental gift for anyone in your family. 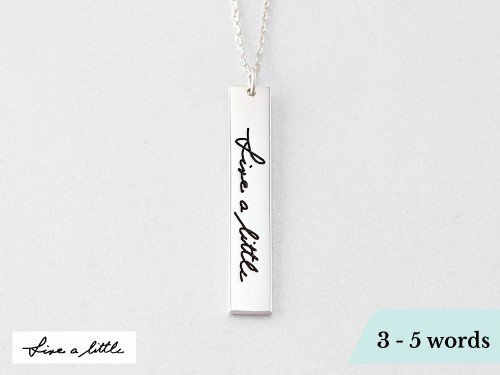 Write, in your own handwriting, secret codes that only you and your special one understand or take a picture of someone else's handwritten letter - the possibilities for customization are endless. 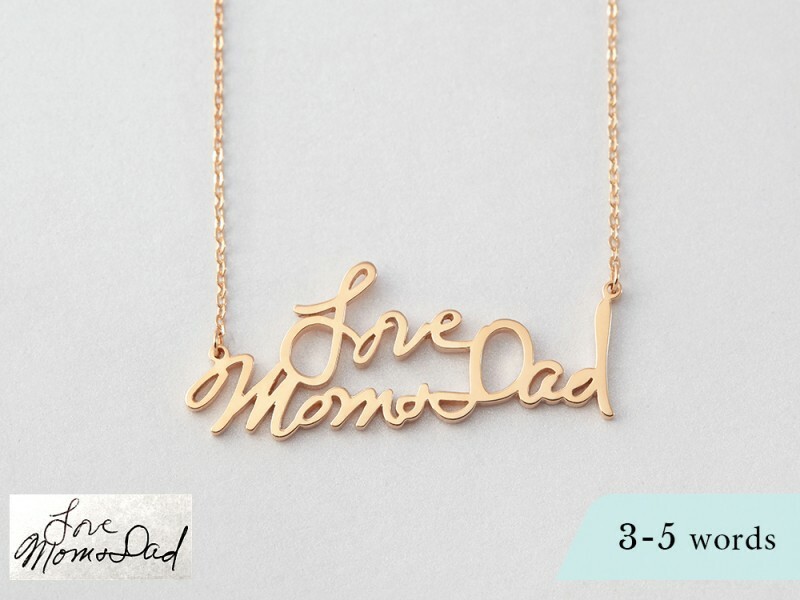 - Word limits: 5 words.